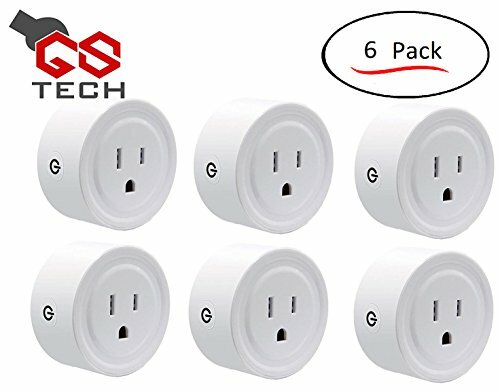 GS Tech WiFi Socket allows you to control just about anything in your home. This is a simple and quick way to automate your home. Use this to never come home to a dark home, turn your coffee pot on in the morning, turn on an electric blanket, turn on a lamp from anywhere in the house and hundreds of other uses. GS Tech Smart Socket is compatible with just about every home automation system on the market and if you don't find it simple and quick to install return it for a full refund. Unit is very compact and durable. Purchase several and control your whole home. You can simply name the units in the app (available on android and apple) and control everything with the touch of a button.